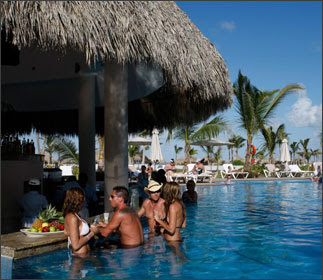 Personally, I have never stayed in an all-inclusive resort, but I have heard from many people that it's awesome and worth trying at least once. Well, I may have found just the place. 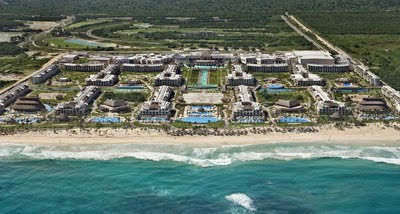 The Hard Rock Hotel and Casino is opening its first ever All-Inclusive Resort in Punta Cana, Dominican Republic this Spring! It will take over the current space of the Moon Palace Resort. Located on more than 120 acres at Macao Beach, the resort will have a casino, eleven swimming pools, a kids' pool and lazy river. Best of all, all of your food and drinks are included! I love Hard Rock Hotels! Have you been to the one in Vegas? So much fun!